UPDATE: The National Weather Service issued a High Wind Watch for Monday. Potential gusts of 60 mph can be expected with steady winds of 25-35 mph, which can blow down tree limbs and power lines. 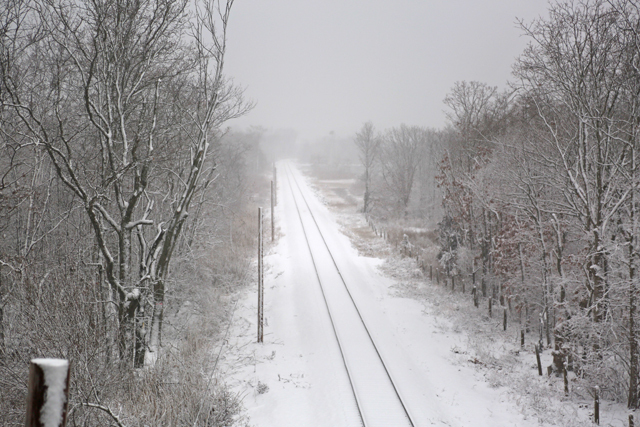 The National Weather Service has issued a Winter Weather Advisory until 10 a.m. Friday and predicts 1 to 3 inches of snow, causing hazardous travel conditions on Southold Town roads through the morning commute. More snow is forecasted for Saturday. TIM KELLY PHOTO | A worker clears the sidewalk leading to the Cutchogue New Suffolk Library Saturday morning. A winter weather advisory remains in effect for the The East End, with the forecast still calling for 3 to 5 inches of snow, but it’s likely to end as freezing rain or sleet and that could leave untreated surfaces with a potentially dangerous icy glaze. The national weather service is calling for temperatures around 30 with northeast winds of 10 to 15 mph and gusts up to 25 causing limited visibility and dangerous travel conditions. No local municipalities have yet declared a snow emergency.